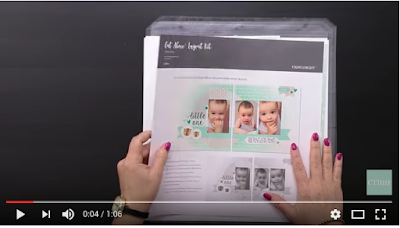 Obsessed with Scrapbooking: [Video]Super Fast Baby Layout! This month's Close to My Heart promo is a winner! Just $7.48 for a two page layout and two pocket protector layouts that you can make in just 15 minutes - it's super simple! And a close up of the two pocket pages - keeping in mind that there is room on both sides of these protectors for even more photos. And you can get 15 photos on these (or even more depending what you do with the pocket pages!). And we all know we have TONS of cute baby photos out there! 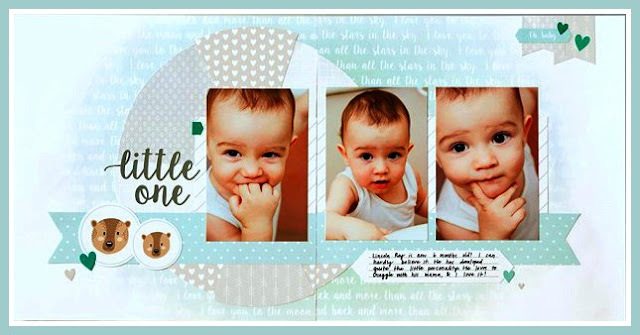 Get your Little One Layout Kit HERE! Check out how quickly you can make this layout below! Also, once you get the kit, you will want to watch closely to see how the laid out the background circle! A wedding layout kit is also available which I will show you tomorrow - it's GREAT!